The USA Today sports columnist talks breaking barriers and her favorite hangouts in Washington. Christine Brennan is used to being first. She was the first female sports writer at The Miami Herald in 1981, the first woman to cover the Redskins for the Washington Post in 1985 and one of the first women fighting for equal access to male locker rooms. Brennan grew up in an era where girls were not expected to play sports, or even like them, and she certainly wasn’t seeing any women talking about sports on television. But Brennan credits her father, whom she calls her “personal Title IX” for encouraging her to pursue her passions, regardless of her gender. Now, she can be seen on ABC News, CNN, PBS NewsHour, read in USA Today or heard on NPR sharing her insights on today’s greatest sporting moments. Washington Life: You have opened a lot of doors for women in sports media. What issues are still facing them today? Christine Brennan: Women still make up just 10-12 percent of sports departments nationwide, which is nowhere near enough. There are hundreds of young women who want to go into sports journalism, with many more coming right behind them, but there aren’t enough openings for them. Sports media organizations need to come into the 20th century before too much more of the 21st goes by. WL: Why have you chosen not to use the name of Washington’s NFL team anymore in your print and broadcast work? CB: I loved my three years on the beat for the Washington Post from 1985-87. I said and wrote the team’s name thousands of times back then. About two years ago, it dawned on me how offensive the name is. Try to explain it to a child. I did. You can’t. It’s just wrong, so I decided to not say it anymore. It’s as simple as that. WL: Who are the young Washington athletes who might be the next “it” man or woman in sports? CB: Two words: Katie Ledecky. The Bethesda swimmer, a 2012 Olympic gold medalist, will be a star of the 2016 Rio Olympics. If things go really well, she could be the star of the Games for the United States. WL: What is the best advice you’ve ever received? 1. Connecticut Avenue from Dupont Circle to Chevy Chase Circle It’s so beautiful and interesting, and includes so much history. It’s where I’ve always lived in Washington. 2. The Swedish Embassy (House of Sweden) by the river in Georgetown: I’m half Swedish and hosted a big party there a few years ago. The views from the roof are terrific. 3. 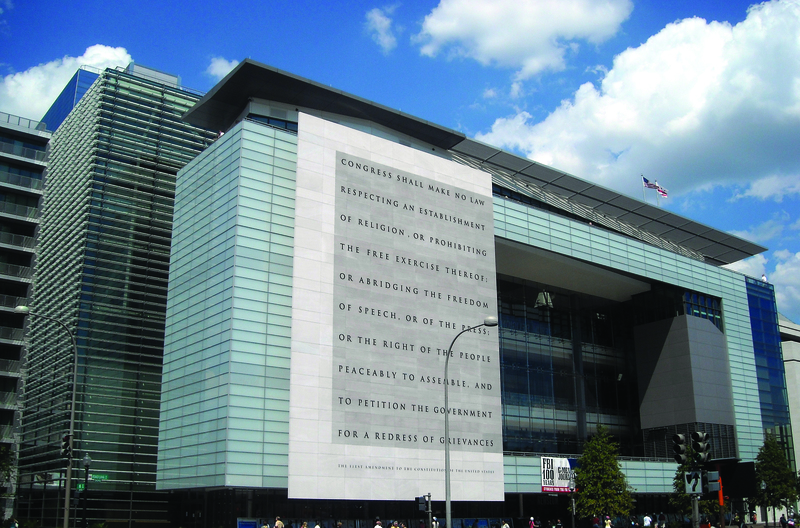 The Newseum It’s always fun to speak at one of the events there, or just look around. 4. RFK Stadium Ted Williams managed there. Frank Howard hit home runs there. Joe Theismann broke his leg there. I covered one of the three. 5. Chad’s (the former Chadwick’s) in Friendship Heights: You walk in and see the same people you saw in the ’80s. That is a good thing. 6. Reagan National Airport An airport? Really? Yes. I travel a lot and just love how relatively small it is and how easy it is to come and go. I still get a kick out of looking out the plane window at the monuments and the city. 7. Politics and Prose It’s in my neighborhood, which is a delight, and the book signings I’ve been fortunate to do there remain some of my favorites.